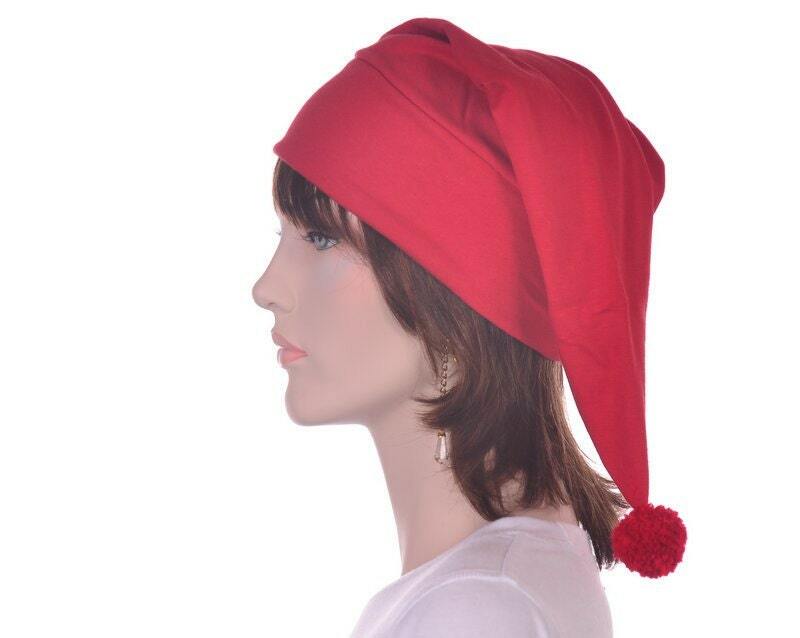 Size Small 20.5-22 inch Standard 22"-24" Extra Large 24-25.5"
Cotton Smee Hat. Hat for a Pirates mate. 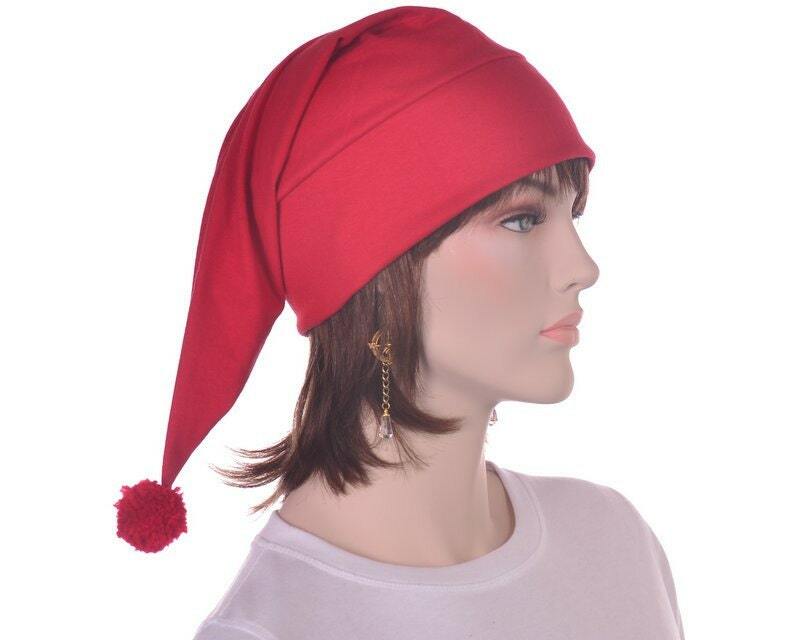 Red Stocking Cap Hat. Climb aboard the Jolly Roger. 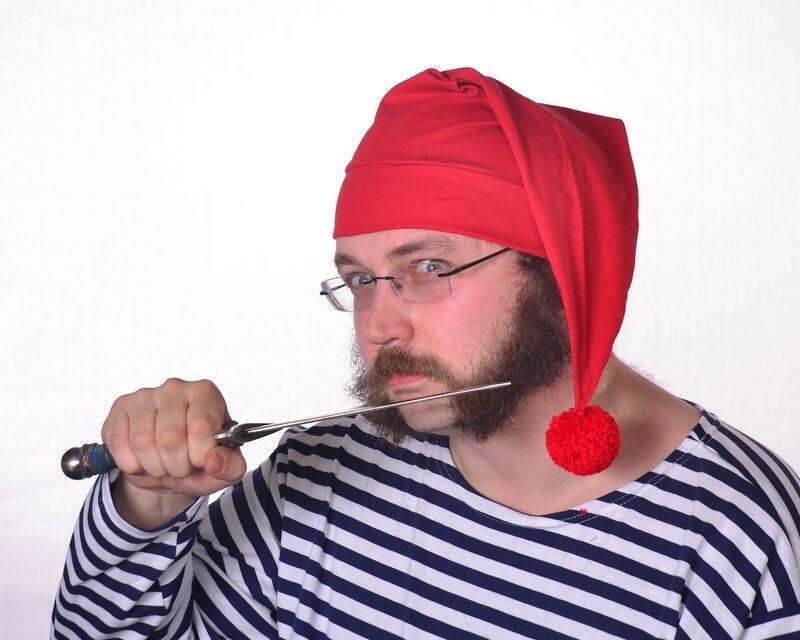 This is a lighter weight version of the Smee Hat. Once I realized that these were frequently being used in productions of the play and ballet of Peter Pan, I decided to give the actors a break and make a copy in a breathable cotton knit. 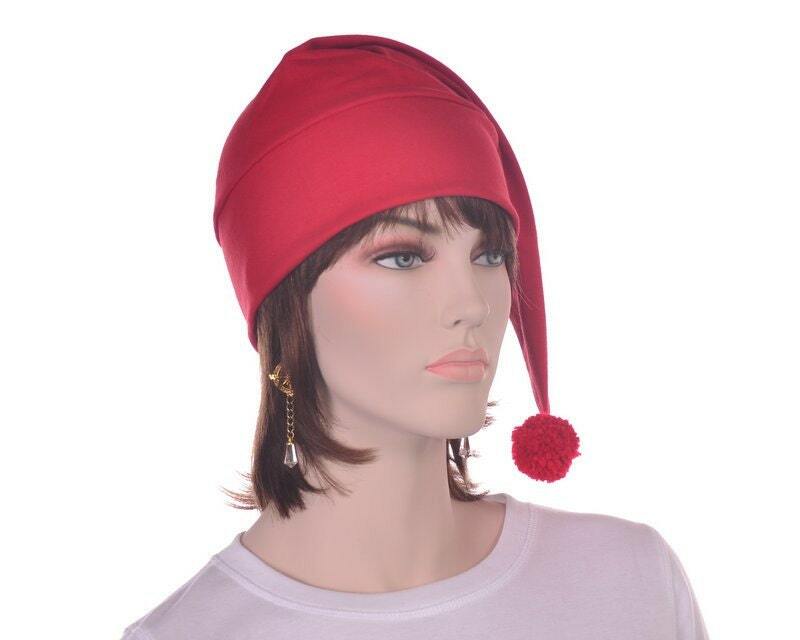 Red brim with Red pompom on end. 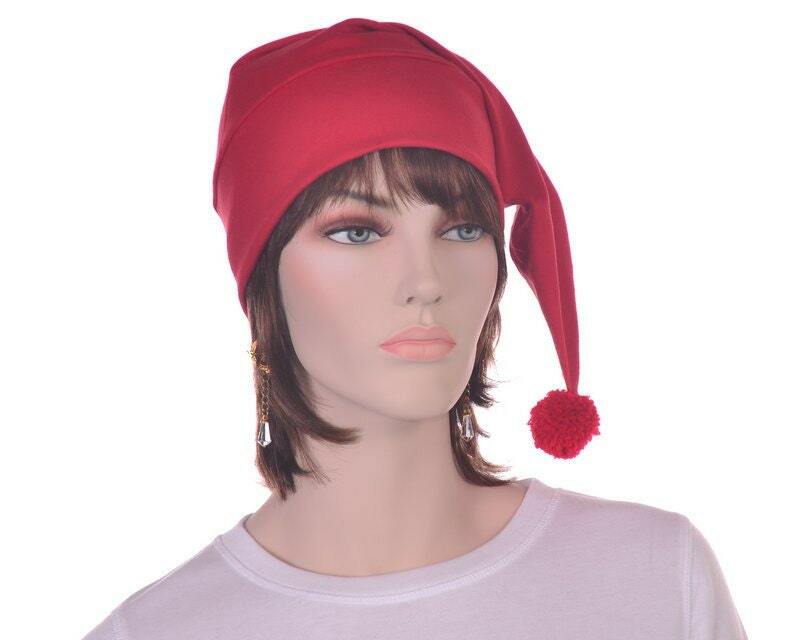 The adult fleece version can be found here if you are looking for a heavier hat in fleece. Sorry for the price difference but cotton is more costly than fleece..
"Feared Smee! " Feared Smee, there was not a child onboard the brig that night that did not already love him"
Comes in 3 sizes, Small for the petite headed, fitting 20.5 to 22 inches, Standard fits most average adult heads 22-24 inches, Extra large fits those larger heads 24-25.5 inches.